OMS snowboard athletes are immersed fully in the many different aspects of snowboarding to help develop knowledge, appreciation, and passion for the sport. The snowboard student-athletes can be found freeriding at Okemo Mountain or in one of its many mountain terrain parks. However, most often they are found taking lap after lap in the halfpipe (the longest in the East) or on the OMS inspired Crazy Train terrain park. Crazy Train Park is the slopestyle training arena for Okemo Mountain School’s snowboarding and freeski teams. 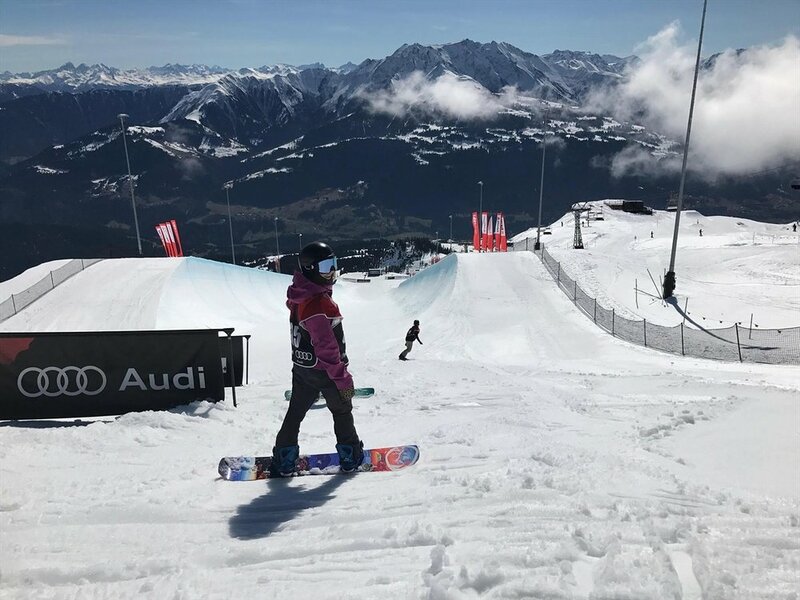 The park features an advanced slopestyle influenced competition course and training ground—with design input directly from our athletes and coaching staff here at the school. The park is also accessed by a surface lift which ensures 25+ laps in a morning of training. The Crazy Train Park is also where Southern Vermont Series slopestyle competitions are held. An airbag for aerial training, which helps our student-athletes safely progress from learning tricks on the trampoline to landing them on snow, is an exciting addition to Blackout and the competitions arena. A big thanks to OMARA for funding the airbag and providing this important training tool. Our on-snow training schedule consists of riding three hours every day during which time we work on improving the athlete’s fundamental riding ability, as well as focusing on natural terrain riding, terrain park riding, and the halfpipe. Athletes will learn edging, stance, and proper posture, as these are the fundamental skills that are the essential foundation of riding. 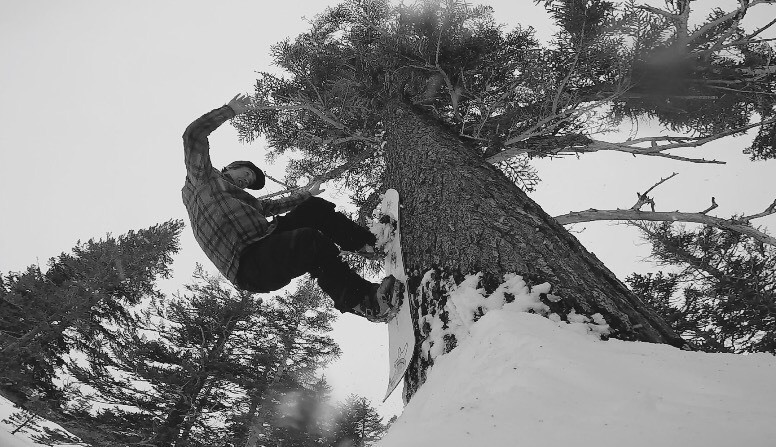 We expect that when a snowboard athlete leaves OMS, he/she will be versatile and can rip ALL types of terrain. We strongly encourage all OMS snowboarders to compete while here at school. There are many opportunities to compete including the USASA Southern Vermont Series, where they have the option of competing in slopestyle, halfpipe, boardercross, and GS & SL. This is a sanctioned event series where athletes from surrounding mountains compete in GS/SL, slopestyle, pipe, and BX in hope of making USASA Nationals in Copper, CO. When an athlete matures competitively and becomes more advanced, competing in USSA Rev Tours and Grand Prix’s are also a possibility. The school will provide transportation to all events for OMS snowboarders. Some of our higher end athletes compete in USSA Toyota Rev Tour events, US Open Junior Jam, and Last Call at Loon. 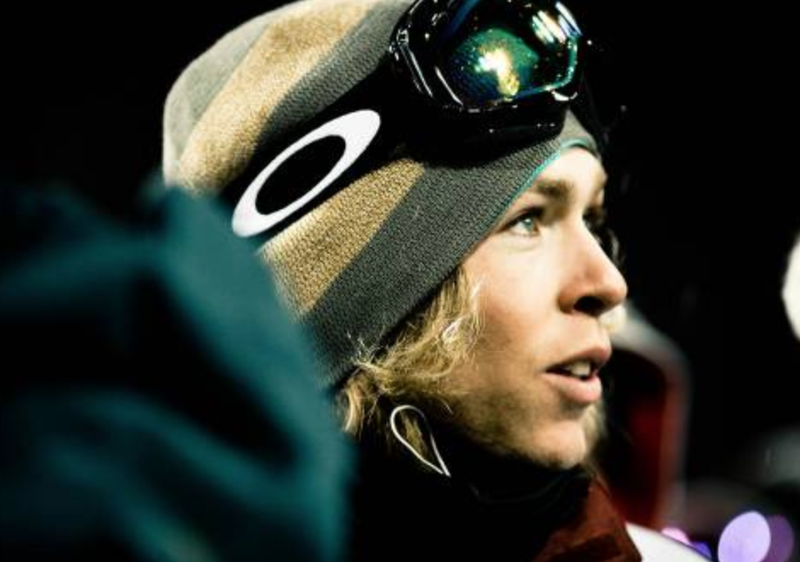 Luke Bonang, Head Snowboard Coach, to learn more about life as a snowboarder at Okemo Mountain School.